The polygamist ranch in West Texas has been a major news item lately, so I decided to check it out. Officially is is called the YFZ (yearning for Zion) ranch, operated by a breakaway sect of the Mormon church. For more info, see the Wikipedia report, which includes a high-quality aerial photo. 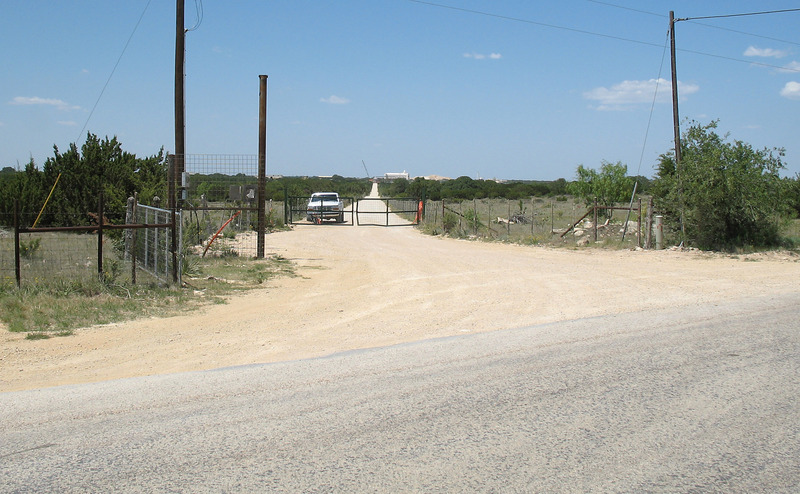 The compound is about 4 miles northeast of Eldorado along CR 300 in a rough landscape with cactus, cedar, and brush. The temple is easily visible, as well as about 4 large structures under construction and a large mound of excavated earth. The Wikipedia aerial photo and the MapQuest aerial view below show a large number of smaller structures which are not visible from the road. 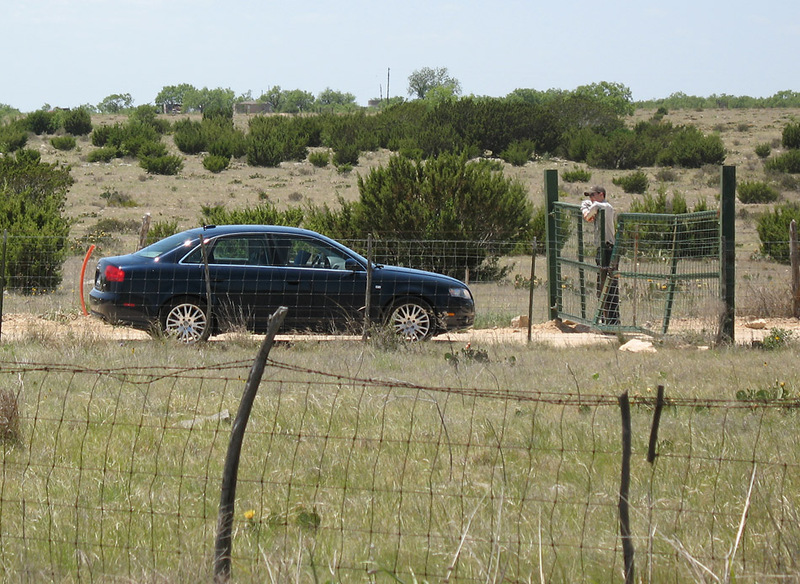 When I visited on Sunday, May 18, 2008, the entrance was guarded by two ranch boys who were in a pickup truck with darkly tinted windows. The 450 youngsters who were confiscated by Texas child protective services where still in the custody of the state. On May 29, 2008, the Texas Supreme Court upheld a lower court ruling which found that Texas Child Protective Services (CPS) did not have sufficient cause to remove all the children from their parents, and that the children should be returned to their parents. In the following days, the children were released from CPS custody back to their parents. This was a good thing for Texas taxpayers, since the estimated cost for a year of foster care was $21 million. 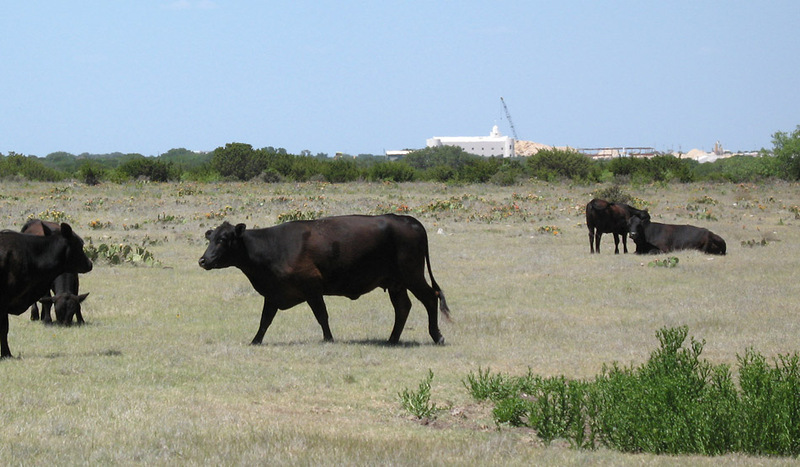 If the construction in progess is an indication, the ranch must be doing well. In addition to keeping the women pregnant, the ranch guys must be productive construction workers. The ranch is located northeast of Eldorado. 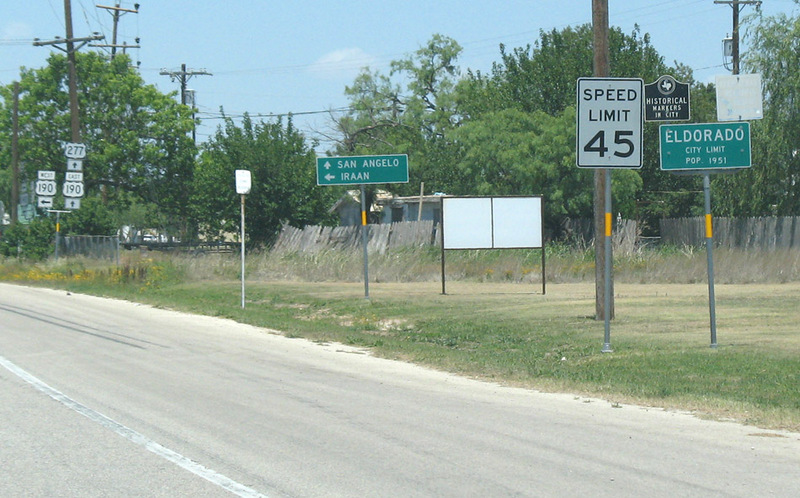 Eldorado is 44 miles south of San Angelo, and about 20 miles north of Interstate 10. 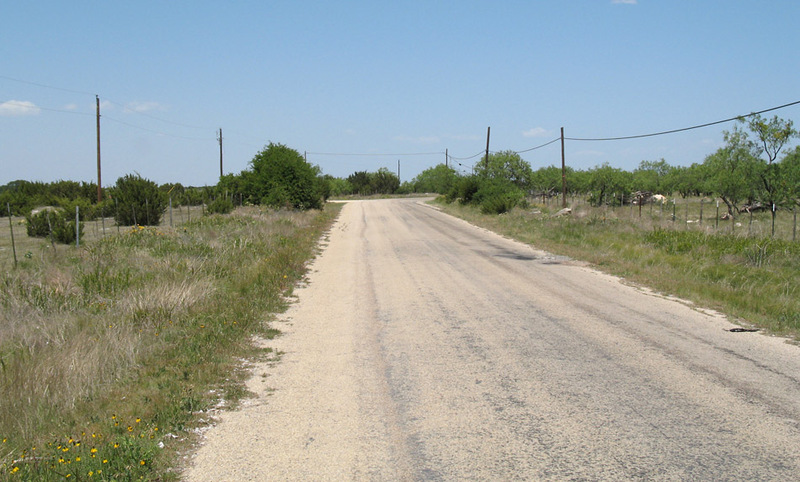 The terrain is on the edge of the desert, in the final transition zone from the semi-arid central Texas to arid west Texas. 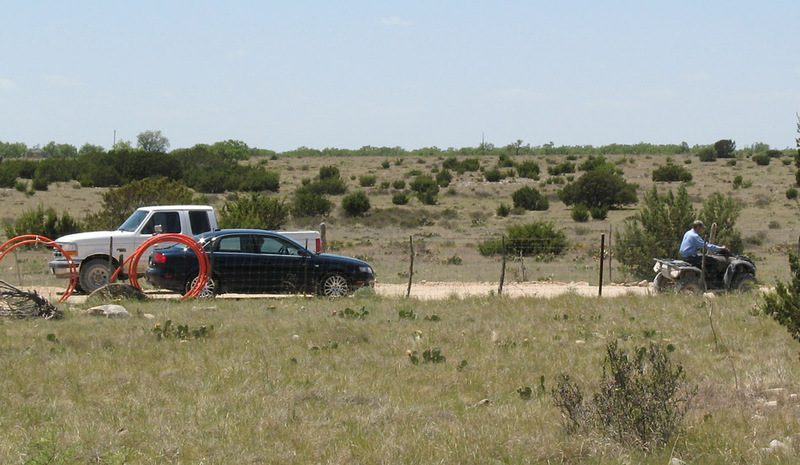 The landscape is much nicer if you drive about 25 miles north of Eldorado into the Concho River valley. This fairly recent aerial view from Mapquest shows the large number of structures on the property. The construction on the southwest side of the property near the entrance road, shown in the photos below, is not shown on this view. Google has an older view with only a few structures. The community has grown quickly over the last few years. The listed population of nearby Eldorado is 1951. 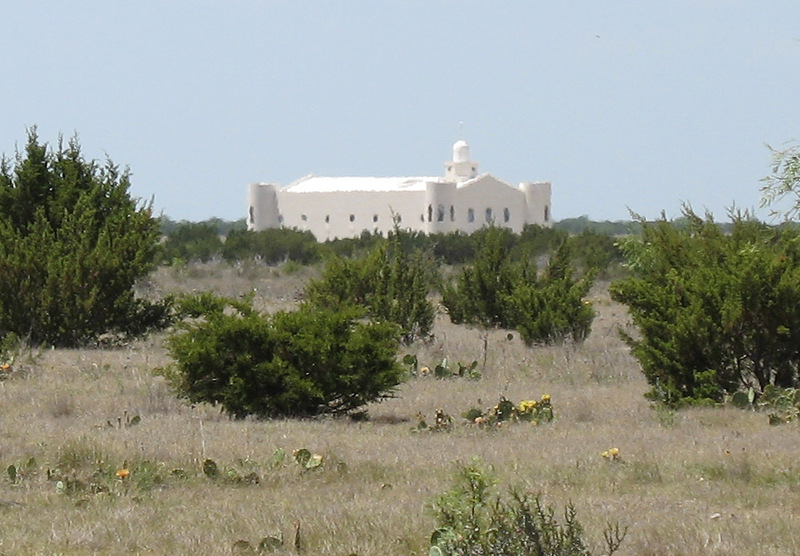 Proceeding northeast on CR 300, you pass an area of brush and then you can see the temple across a cattle pasture. This is CR 300. The ranch entrance is just ahead, where the road veers to the right. (high resolution) This is the entrance gate to the ranch. The temple is in the distance. The entrance was guarded by two ranch dudes in a pickup truck with darkly tinted windows. The perimeter fence is a standard barbed-wire cattle fence; I couldn't see if there is a more secure fence to prevent intruder penetration into the compound. (high resolution) Here is a zoomed-in view of the entrance. At the end of the entrance road, there is a structure that appears to be a guard tower. Another photo below suggests it is still under construction, nearing completion. 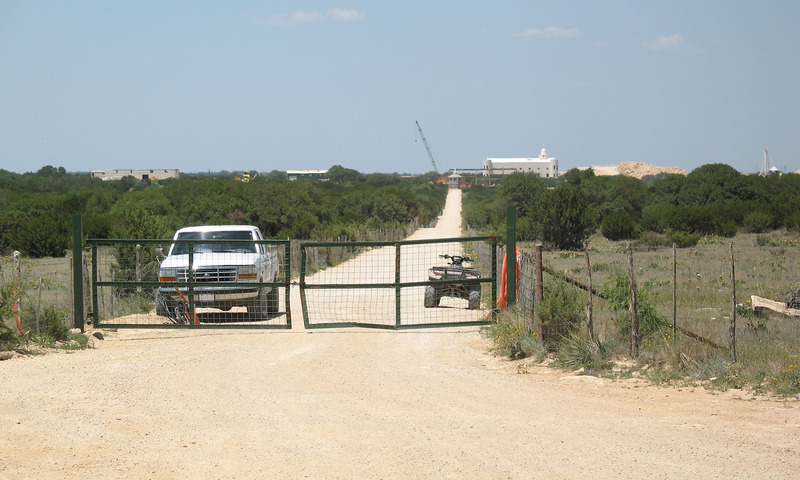 (high resolution) This view looks toward the ranch just east of the entry road, which is visible on the left. A late-model Audi pulled up to the gate. A women stepped out of car and was not wearing polygamist fashion, so she was probably from Texas child protective services or legal counsel. The car suggests she was legal counsel. The ranch dude spoke to her for a minute, and then let her in. The second ranch dude jumped on an ATV and escorted the Audi into the compound. 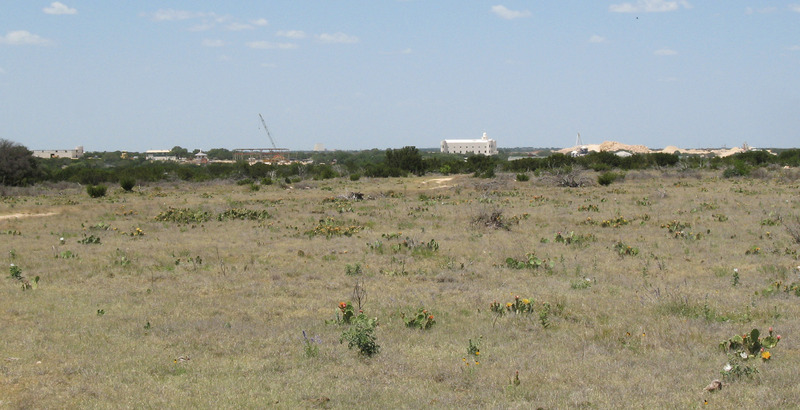 (high resolution) Here is a wide view of the ranch looking north-northwest, with large buildings under construction on the left, the temple in the middle, and a large mound of excavated earth on the right. 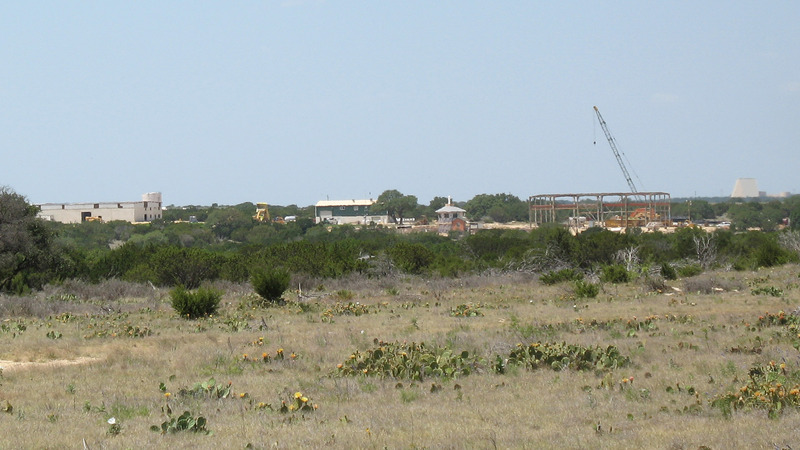 (high resolution) Here is a view of the construction zone on the southwest side of the property. There are two warehouse-looking structures on the left, the guard tower, and a building in the framework phase. A large dump truck can also be seen. 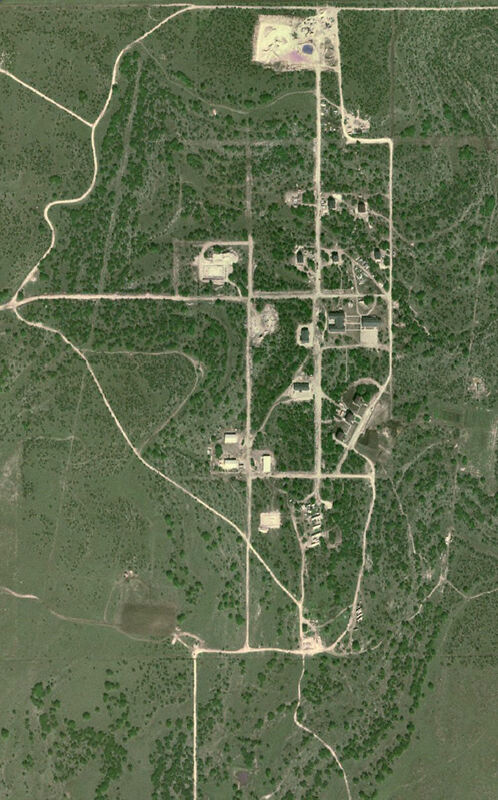 The triangular structure on the right in the distance can be seen in the online MapQuest aerial views (not in the aerial image above), and it is on another property. Here is a zoomed-in view of the temple.